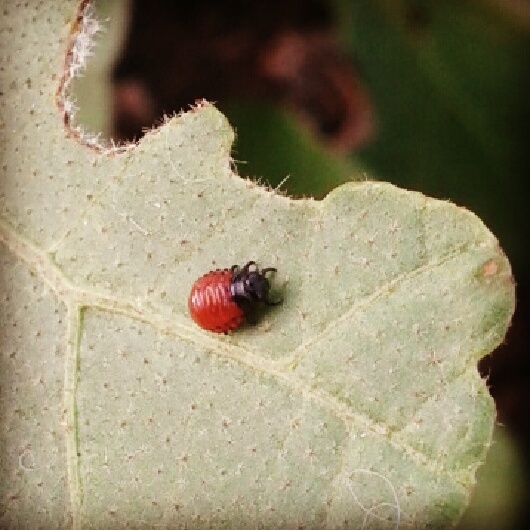 Pre-squish: Brand new Colorado potato beetle, larva about the size of a match head, on eggplant. Around the leaf edge, older damage done by bigger CPBs. Recently, for whatever reason, they’ve been around but not in numbers enough to be a big problem. The crazily erratic weather of the last few fears seems to have obliterated regular pest cycles, so we just see ’em and pick ’em…whenever.